Thought I would share with you a mobile blog post of what is happening with the plants in my garden today. Off to a good start the sun is out! 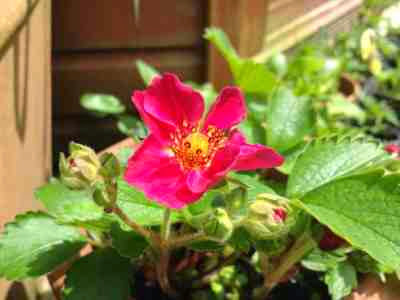 First up is a photo of a rather unusual Strawberry plant with a beautiful red flower. 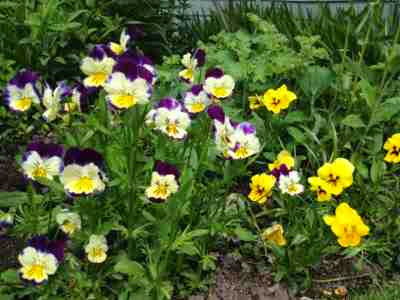 Next up are the happy faces of the Pansy's sitting at the front of a border. On the way to the lower garden, nestling on the steps is a Aeoluim given to me by a friend last year, it's settling in rather nicely. 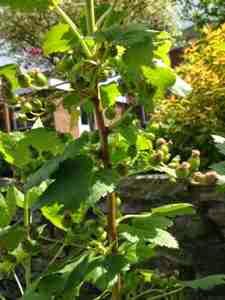 Lots of tiny Blackcurrant's growing, this will be the first year for this plant to fruit. What can I say? 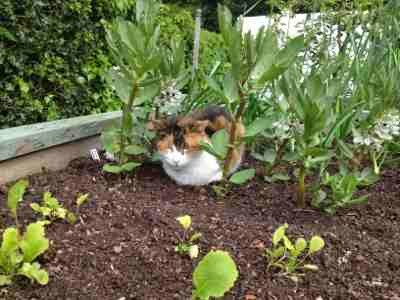 - looks like Angel the cat is not quite living up to her name, think she finds the warmth of the raised beds and the Broad Beans difficult to resist. There will be words, trust me! 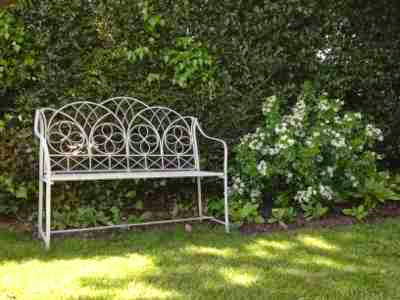 Time for a sit down and a chance to soak up the garden. After all, that is something easily forgotten when you are gardening. 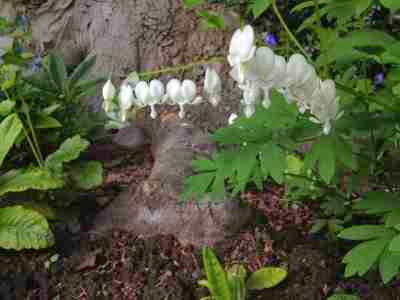 Finishing off at the bottom of the garden, with Bleeding Heart at the base of the Copper Beech tree. All photographs taken using my I-phone and using the Blogger App, apologies if things are not quite the correct layout you do not have as much control using the App. Ah lovely photos! 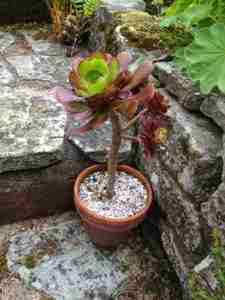 I will have to send my mother a link to your blog (she is also a keen gardener http://creamteasandroses.blogspot.co.uk/).